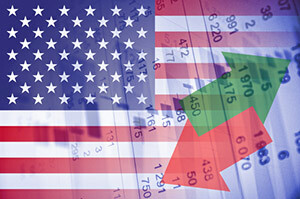 In Dow Jones news today, February kicked off in positive territory. The Nasdaq pushed higher after shares of Apple Inc. (Nasdaq: AAPL) climbed more than 7%. The company crushed Wall Street earnings expectations after the bell Tuesday. Another round of positive economic data showed increasing strength in the labor markets and the strongest manufacturing production growth in nearly two years. Investors maintained positive sentiment after the U.S. Federal Reserve announced it would maintain interest rates at current levels. The markets are still anticipating that the central bank will grow more hawkish in the year ahead. The central bank has said it plans to raise interest rates up to three times in 2017. The central bank announced that overall sentiment in the economy has improved among consumers and business leaders. That said, the Fed did not choose to raise interest rates. The markets were also cheering a round of positive economic that showed strength in the underlying economy. In labor news, the United States saw private payrolls increase by 246,000 in January, according to a report from ADP and Moody's Analytics. That figure easily topped the 145,000 new jobs expected by economists. Crude oil prices climbed Wednesday on news that Russia and OPEC producers have followed through on their promises to cut excessive crude oil production. The cuts have been gradual, but global producers said they are making progress. The news was able to offset rising crude inventories in the United States. This morning, the Energy Information Administration reported U.S. crude inventories increased by 6.5 million barrels last week. That figure outpaced analyst expectations of a 3.3 million barrel build. Despite the uptick in crude stocks, the EIA said that inventories at Cushing, Okla. – the nation's primary delivery point – fell by 1.2 million barrels last week. The WTI crude oil price today added 1.3%. Meanwhile, Brent crude added 1.6%. Gold prices ticked slightly higher after the Federal Reserve left interest rates unchanged. As we explained yesterday, Money Morning Resource Specialist Peter Krauth expects gold prices to climb to $1,400 an ounce this year. While owning the yellow metal provides solid upside, investors should also consider the best gold stock to buy right now. But the big news today was about Rex Tillerson. This afternoon, the U.S. Senate confirmed Tillerson as the next secretary of state. In a vote that required a simple majority, Tillerson received 56 votes in his favor and 43 votes against his nomination. Tillerson has become the nation's 69th secretary of state just as a series of international concerns have emerged. In fact, Tillerson's first assignment could be to address recent statements by European Union (EU) President Donald Tusk. Yesterday, Tusk released a letter to 27 of the economic bloc's leaders in which he considered the United States just as much of a threat to the EU as China, Russia, radical Islam, war, and terror. Read all about this controversial letter, right here. Shares of Best Buy Co. Inc.(NYSE: BBY) were flat after the retailer reported earnings and revenue that met expectations. The firm reported earnings per share (EPS) of $1.69 on top of $13.589 billion in revenue. The consensus expectation among analysts was $1.66 on top of $13.565 billion in revenue. Shares of Amazon.com Inc. (Nasdaq: AMZN) climbed over 1% after the e-commerce giant announced plans for its first air cargo hub. The new hub will be constructed in Kentucky and will service the Cincinnati/Northern Kentucky International Airport. Did you hear about this? Snapchat could go public as soon as March. With the company filing for an IPO on the NYSE this week, anxious investors have been asking us, "How much is Snapchat worth?" Here's the answer, right here.